La Dolce Vita through from California to Italy. I'm Kelly, an American girl with Italian taste in food & wine. I blog about learning Italian, food & wine pairings, how to find authentic Italian ingredients in the US, and seasonal recipes from scratch. Italian at Heart is my love letter to Italian food & wine. Here you'll find authentic Italian recipes & wine pairings, and delicious destinations in Italy & the U.S. You can usually find me in the kitchen learning Italian as I cook with my Italian better half, Alberto. Find out how we met here. 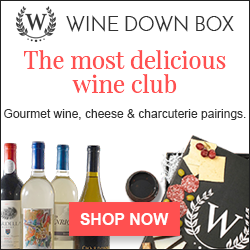 Try Out a New Wine & Cheese Pairing Every Month!